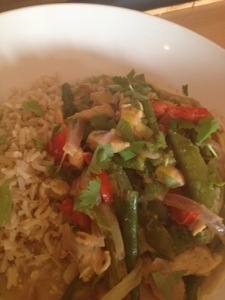 I love Thai Green Curry and will often order it from our local Thai Takeaway, but I thought I would try and make a low-Syn version and it turned out really well!! 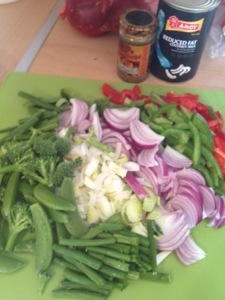 First, I sliced onion, green pepper, red pepper, a leek, some green beans and brocolli and a few sugar snaps (not traditional thai curry veggies I know but I try to add as many different vegetables as possible to bulk up the meal and increase the proportion of vegetables to everything else in the dish! I prepared all of these first, then sliced 3 chicken fillets into small pieces. I added the stock to the chicken and veg and brought to the boil, then reduced and simmered, covered, for about 10 mins, or until the chicken is cooked through and vegetables cooked to your liking. 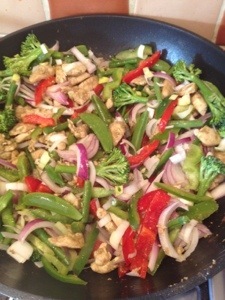 Turn off the heat, then stir in the coconut milk – it will split on a high heat, and while tastes ok, looks awful!!! I added some fresh chopped coriander in at this point too, and served with wholegrain basmati rice. 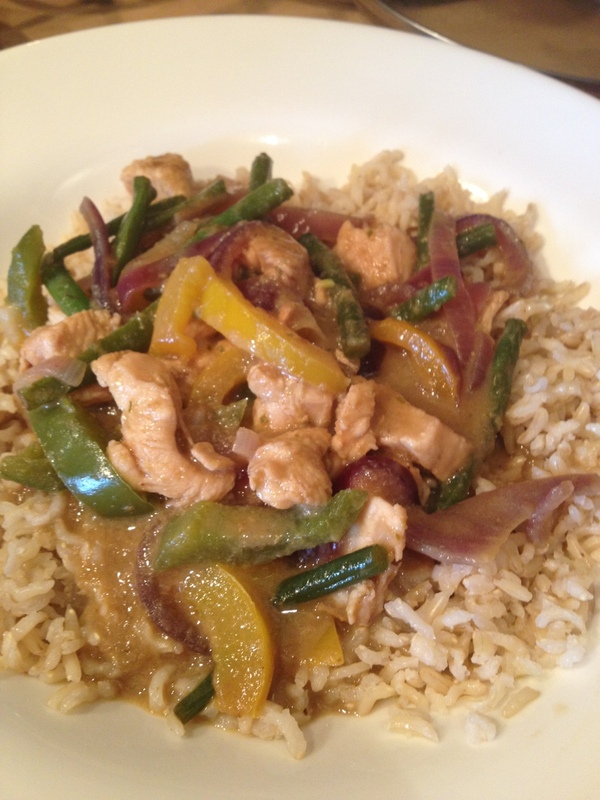 This recipe made 4 really generous portions, and reheated well the next day for lunch!